I’ll admit it: I let the lettuce go bad. More than once. I stick it in the vegetable drawer vowing to myself that I’ll wash it and make a salad tomorrow, but, inevitably, it wilts. There is a unique sadness to be found in a defeated, deflated head of lettuce forgotten in the bottom of the fridge. Believe it or not, I love salad. I just hate washing lettuce. 1. Get a salad spinner. It’s not the washing of lettuce that’s so terrible; it’s the drying. I live in a very tiny apartment with a very tiny kitchen leaving inadequate space for the storage or subsequent drying of a salad spinner. But believe you me, if I had a salad spinner, that magical device that guarantees the end of soggy salad while providing more than moderate entertainment in its operating, never again would a head of lettuce perish in my kitchen. 2. Eat lots of sandwiches. In heat like this, the sandwich is our best friend. No turning on of stoves or ovens required. 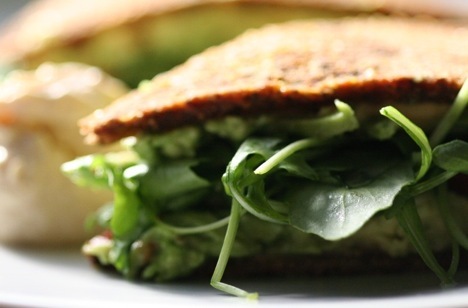 The sandwich can provide a complete meal of protein, fruits, vegetables, and grains with minimal prep time and convenient portability. 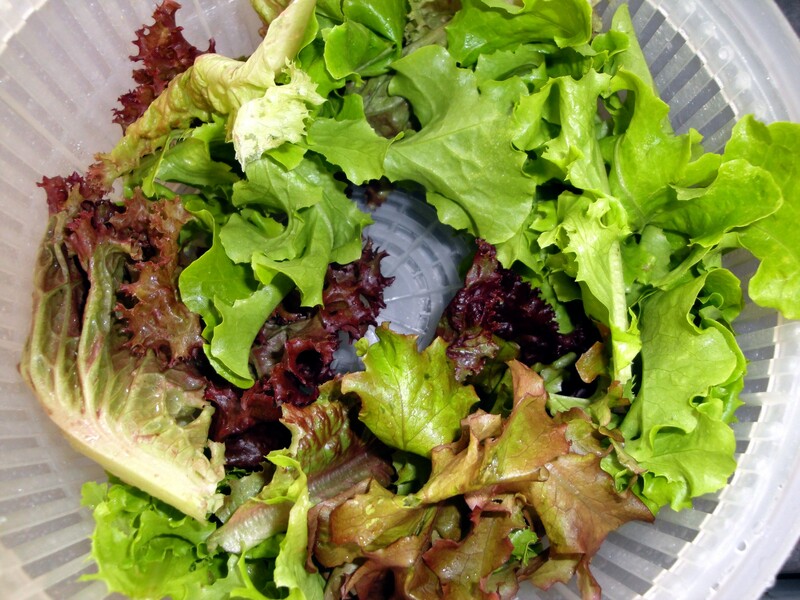 Nothing makes a sandwich like a few fresh pieces of lettuce and even if you don’t have a salad spinner, you can easily wash a few leaves and dry them between paper towels or cloth napkins. 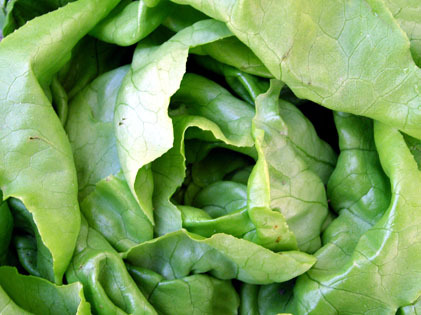 Eat enough sandwiches and before you know it, your lettuce is spent. 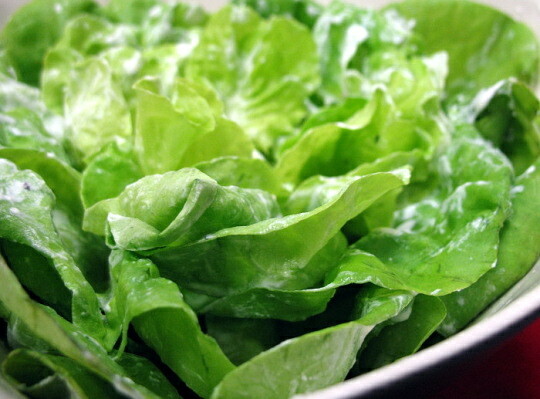 Depending on the variety, lettuce can be made up of nearly 95 percent water. 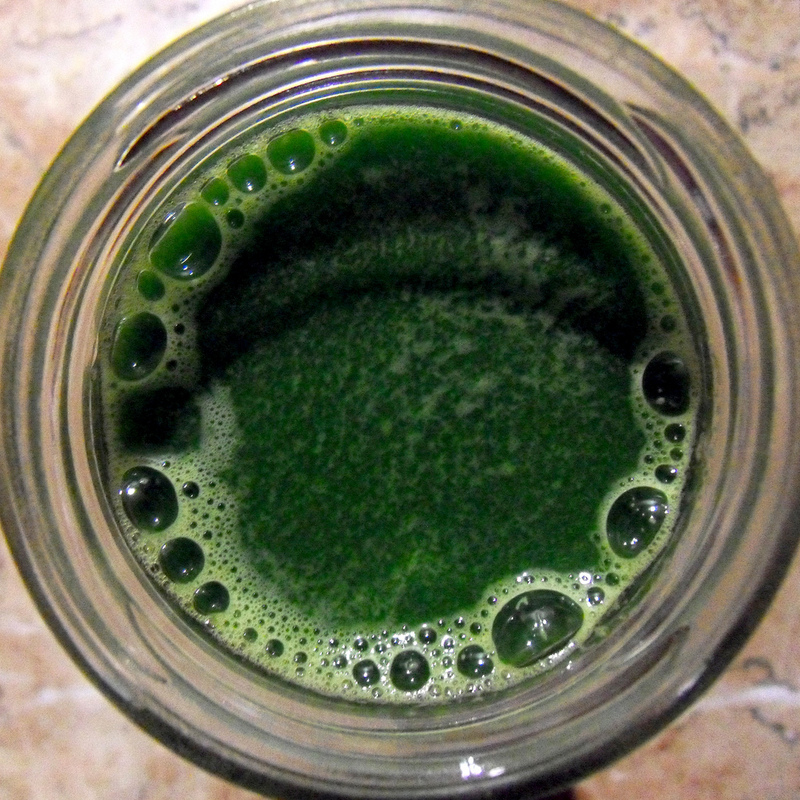 This high water content makes lettuce almost impossible to preserve, but also makes it the perfect base for homemade juices. 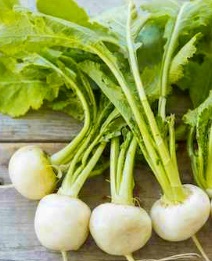 It is also high in vitamin A, among others, and potassium. Try juicing your lettuce with other seasonal veggies from the coop like cucumber, beets and carrots for a refreshing, highly nutritious meal or snack. Picking up the first share was quite exciting – so fresh! We had a salad with some of the veggies that night, with some homegrown Swiss chard thrown in. The dressing on the salad has a spicy twist. 1) Cream dressing ingredients together until quite smooth. It should taste lively on its own – tangy& hot. 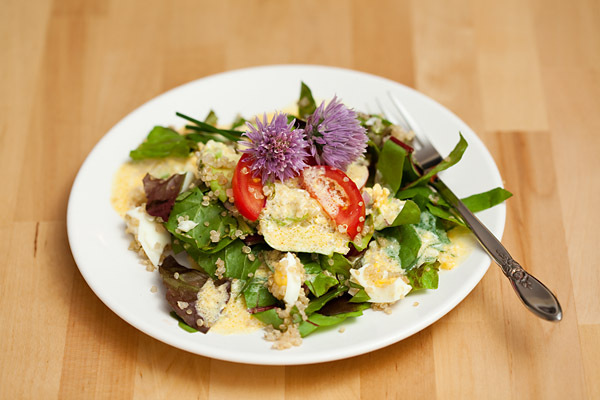 2) Just before serving, gently fold dressing into the salad.